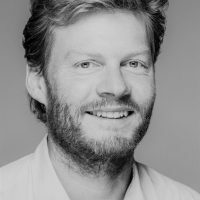 Christian Felber is the initiator of the “Economy for the Common Good” and the project “Bank for the Common Good”. He is an internationally renowned speaker, contemporary dancer, lecturer at the Vienna University of Economics and Business, co-founder of Attac Austria, and author of several bestsellers, including “Change Everything: Creating an Economy for the Common Good.” and “Money: The New Rules of the Game” (printed only in German: “Geld. Die Neuen Spielregeln”.